Rather a strange one this. 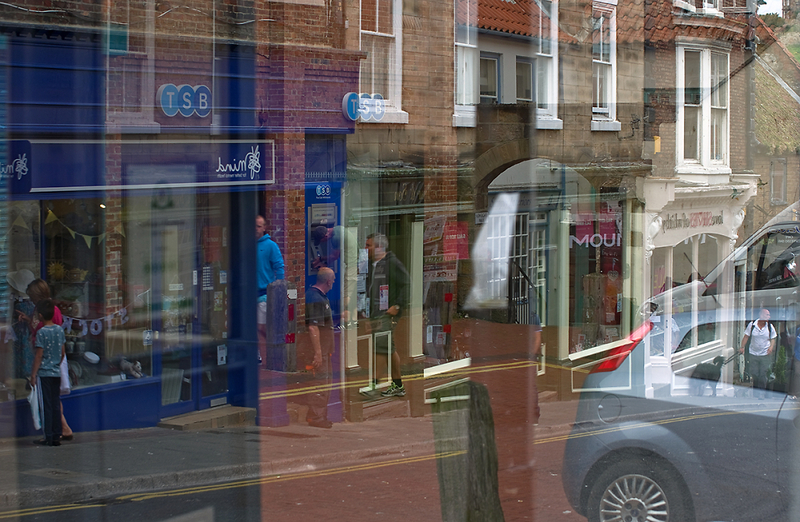 It was shot through two large panes of glass (the corner of a glass shop front) set at right angles to each other. The result is a very confusing image in which it's difficult to tell what is reflected and what is seen directly beyond the glass without a reflection. What do you think? Good luck on that one Malc, I took the shot and I can't figure it out! Neither can my wife Nicky and she was also there at the time. Quite unique this one. I have to say it reminds me of the old days, where a multiple exposure results from forgetting to wind the film on ! Unusual but intriguing.Like it a lot...Best Regards.tommyt. Love this, intriguing is the word, so much to fathom out.